After surrendering to Japanese forces, Frazier was forced to embark on the harrowing 65-mile Bataan Death March in the Philippines when he was just 17-years-old. FacebookGlenn Frazier passed away on Sept. 15, 2018. 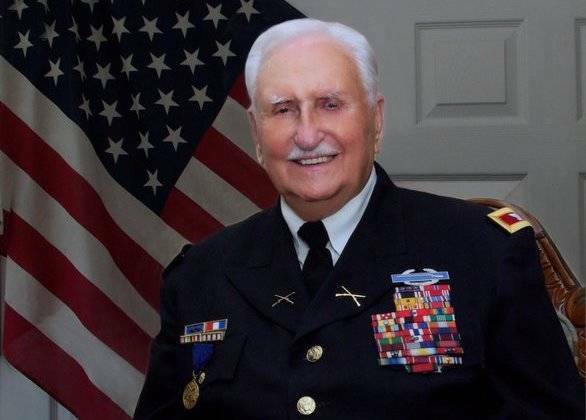 Glenn Frazier, a celebrated World War II veteran and prisoner of war, passed away on Sept. 16, 2018, at the age of 94. Frazier joined the U.S Army on July 3, 1941 when he was only 16-years-old, and requested that he be stationed in the Philippines. He had only completed four months of training in Manila when Japanese forces attacked the Philippines on Dec. 8, 1941 — mere hours after the bombing of Pearl Harbor. He served in the 75th Ordnance Company for the next four months to fight off the Japanese invasion in the Battle of Bataan. 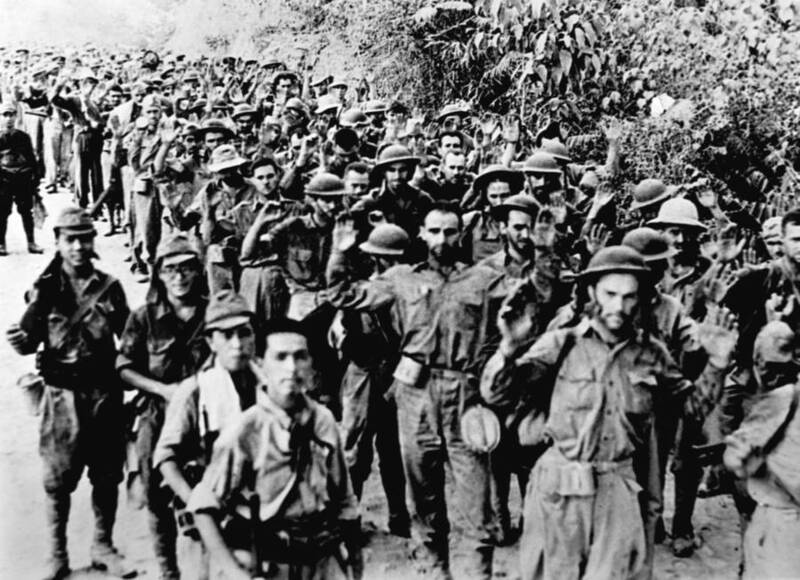 American and Filipino troops ultimately surrendered to the Japanese on April 9, 1942. Japanese forces took approximately 75,000 Filipino and American troops captive following the surrender — and Frazier was one of them. He was forced to take what became known as the Bataan Death March alongside his comrades — a grueling journey where the captives walked 65 miles to the Japanese prison camps without food or water. CORBIS/Corbis via Getty ImagesThousands of American prisoners march from Bataan to a train that would take them to internment camps in the Philippines. Frazier was one of the few individuals who miraculously survived the march. He spent the next three and a half years in a slave labor camp as a prisoner of war. 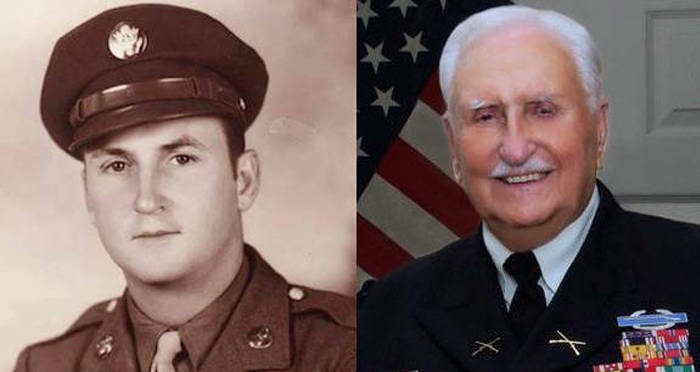 Frazier returned home to Alabama after the war ended in 1945, but the horrifying torture he experienced while imprisoned stayed with him for the rest of his life. He published an autobiography in 2007 titled Hell’s Guest, which detailed his experiences as a prisoner of war. In the decades after the war, Frazier was able to overcome the hatred he felt for his captors, culminating in the publication of his book. 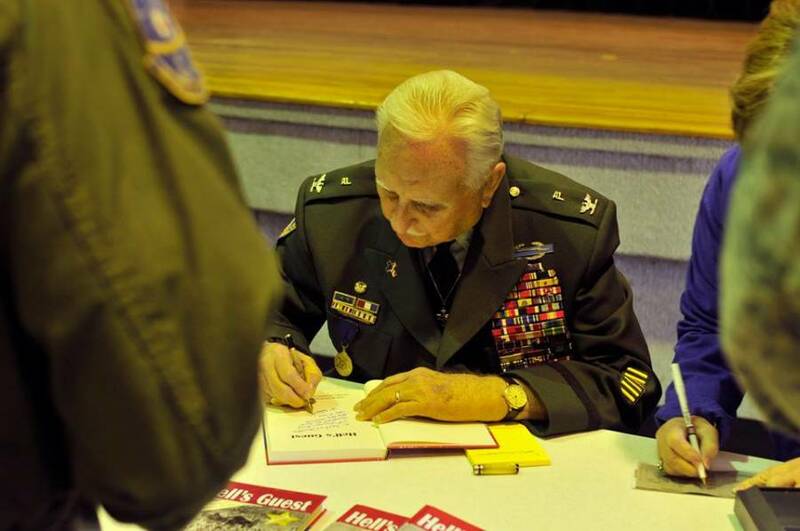 FacebookFrazier published a memoir that detailed his harrowing experiences as a prisoner of war during WWII. “We met once a week and he would talk with me about Iraq, what we did over there and how I felt about it and I think he really helped me, I really think I helped him as much as he helped me, I’d like to think so anyway,” Malaney said to FOX10 News. Next, check out the WWII dentist who killed 98 Japanese soldiers before getting shot. Then, read this story about the celebrities who put their careers on hold to serve their country in WWII.